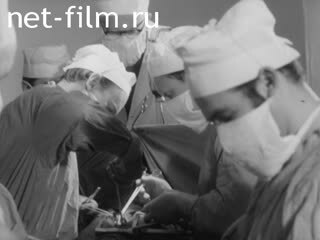 Director: Kogtev K., Sudejkin V., Rudneva V., Kasumov K.
Operators: Sudejkin V., Rudneva V., Kasumov K.
1. Integration in action: a unified computer system (the exhibition "Unified System of Electronic Computing Machines'73" at VDNH in Moscow). 2. To help the heart (coronary examination of the vessels of the heart). 3. Flame and fabric (development of non-flammable fireproof fabric). 4. When the metal says (the art of coining by masters of Azerbaijan).